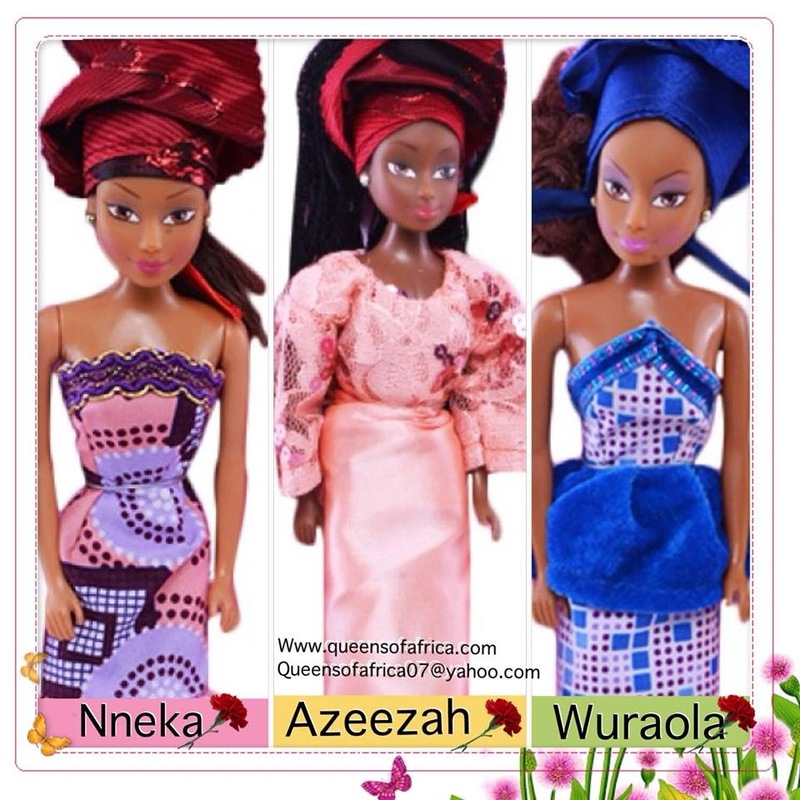 Home / Culture / Fashion / Have You Seen 'Queens Of Africa Dolls' Outselling Barbie In Nigeria? 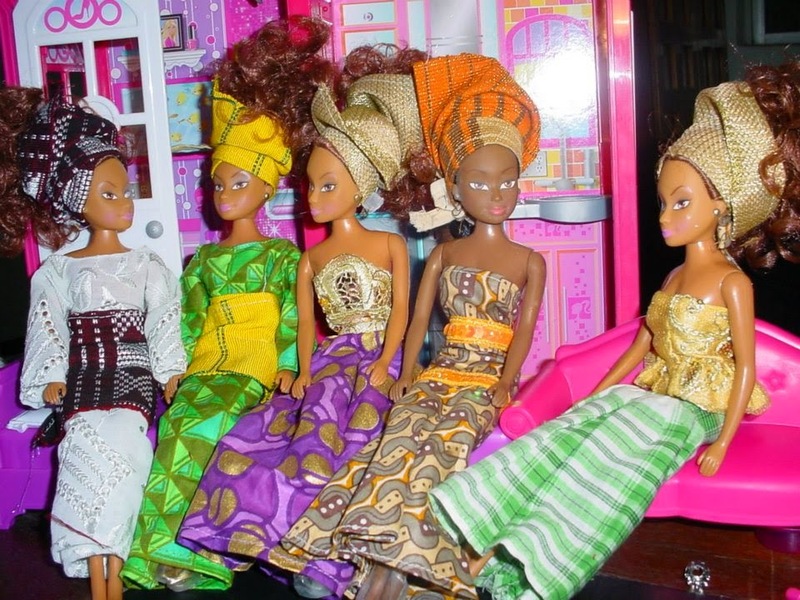 Have You Seen 'Queens Of Africa Dolls' Outselling Barbie In Nigeria? There's a new set of Nigerian dolls on the market and boy is it creating a buzz? 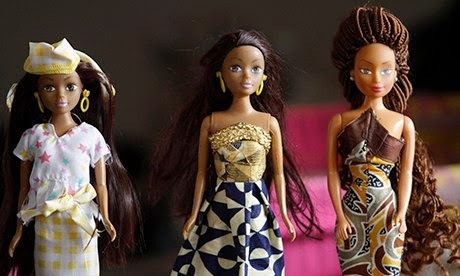 The rise of Queen of Africa Dolls is about to change the doll game; giving Barbie a run for her money. The company behind the ground breaking innovation representing the African image was founded eight years ago by Taofick Okoya. It all began when Okoya’s daughter expressed how she wishes she was white, from there on his entrepreneurial spirit took control that later saw the creation of three Queen of Africa dolls. Since then the company sells 6,000 to 9,000 dolls a month, outselling Barbies in Nigeria. Queens of Africa's objective is to celebrate the African girl in the 21st century. Drawing on the strengths & culture. Given our history with slavery and the overall perception and under representation accompanied by stereotypes of the African image, Queens of Africa uses this medium as a social cohesion tool promoting African culture and its image. Each doll represents one of Nigeria’s three largest populations, embodies certain characteristics and symbolizes something. The first one is Nneka who's Igbo. She symbolises love, Wuraola is Yoruba and symbolises endurance while Azeezah is Hausa, she's the queen of peace. 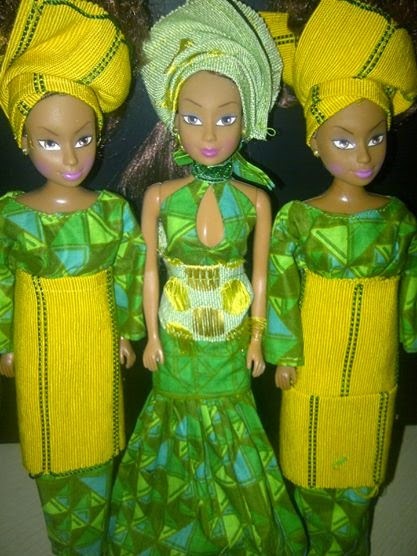 All the three dolls are dressed in African attire. Click HERE for more information. You can also order via email: queensofafrica07@yahoo.com.